From Walt Disney Animation Studios comes MOANA, an epic adventure about a spirited teen who sets sail on a daring mission to save her people. 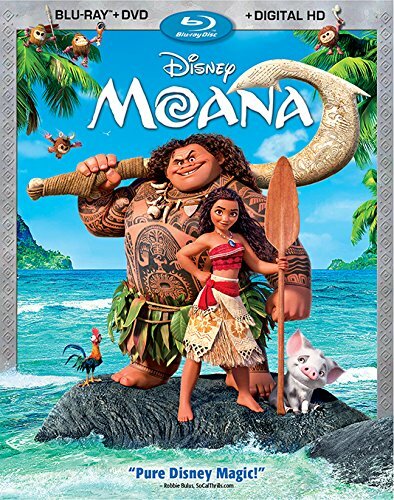 Along the way, Moana (Auli'i Cravalho) meets the once mighty demigod Maui (Dwayne Johnson), and together they cross the ocean on a fun-filled, action-packed voyage. Bring home the movie full of heart, humor and oceans of bonus extras!